I have often been asked why I don’t grow much Chinese leafy greens. Those commonly seen in the market like chye sim/choy sum, kai lan, xiao bai chai, Chinese cabbage, etc. After all, growing up in a Chinese family, these are the vegetables frequently seen on my family’s dining table. Food is a big part of our identity, heritage and culture. What we eat during childhood is usually entrenched deeply in us. It is familiar ground we draw comfort from. So why do I choose not to grow these vegetables? Truth be told, it’s something I have done before. I still remember planting and harvesting chye sim, Japanese kai lan, Chinese cabbage, and xiao bai chai from a rooftop garden at a school over 3 years ago. It’s always nice growing what you ate growing up as a child, proudly bringing the harvest home for your mum to cook them in the same way. Peeking into supermarkets around Singapore and Malaysia, one can be led to think that these Chinese greens grow perfectly well here. You see chye sim, bak choy, kai lan, radishes arranged in neat rows with labels stating they are grown locally. 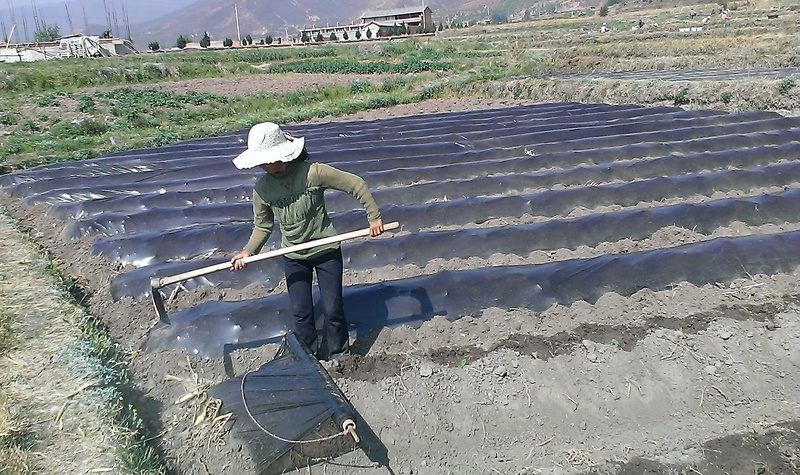 Walking around commercial vegetable farms, you see acres of them planted neatly on straight mounds. A sea of uniform green covered with thick juicy leaves. Try Googling “malaysia vegetable farm” or “singapore vegetable farm” and you’ll know what I mean. Images are powerful, and that was the type of farm I was striving for when I started farming. I was traveling in Yunnan in April earlier this year. Yunnan is in Southwest China and borders Vietnam, Laos, and Myanmar. It is one of the most mountainous regions in China and boasts a large plant variety due to the varying climates.